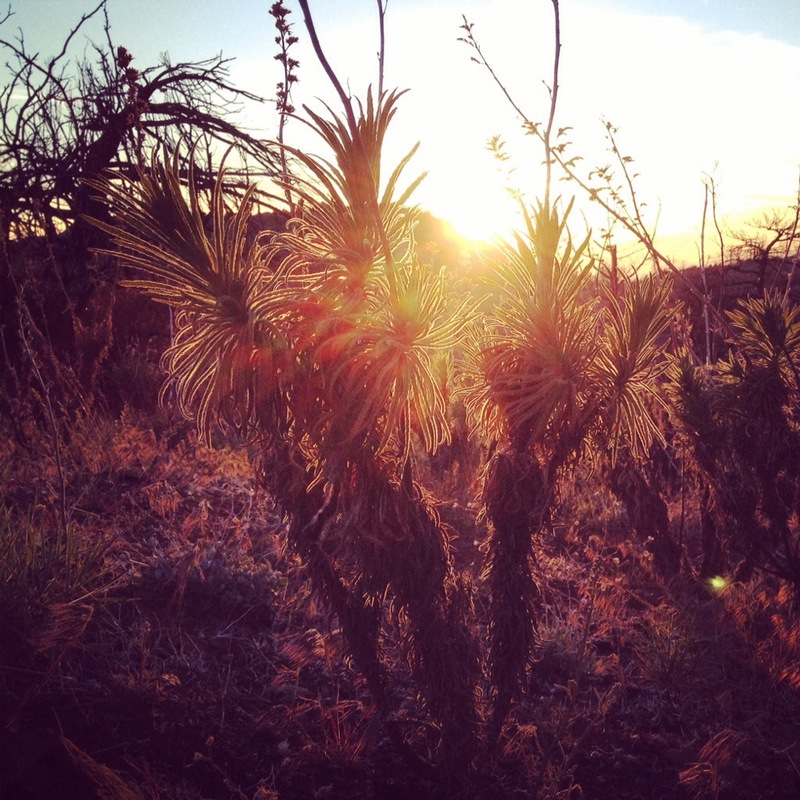 Poodle dog bush – I’d never heard of it before I started hiking the Pacific Crest Trail. Luckily I heard rumors about it long before I encountered it. People told me that it had shaggy green leaves, beautiful blue flowers and smelled like a bad brewery. The most important thing to know about it however, was that some people have massive allergic type reactions to it. Much like poison ivy or poison oak, it causes contact dermitis and blistering and it has forced some hikers off of the trail and into the hospital! After hearing all of the rumors I made sure to look it up online in the hopes that I’d be able to recognize it the first time I saw it. 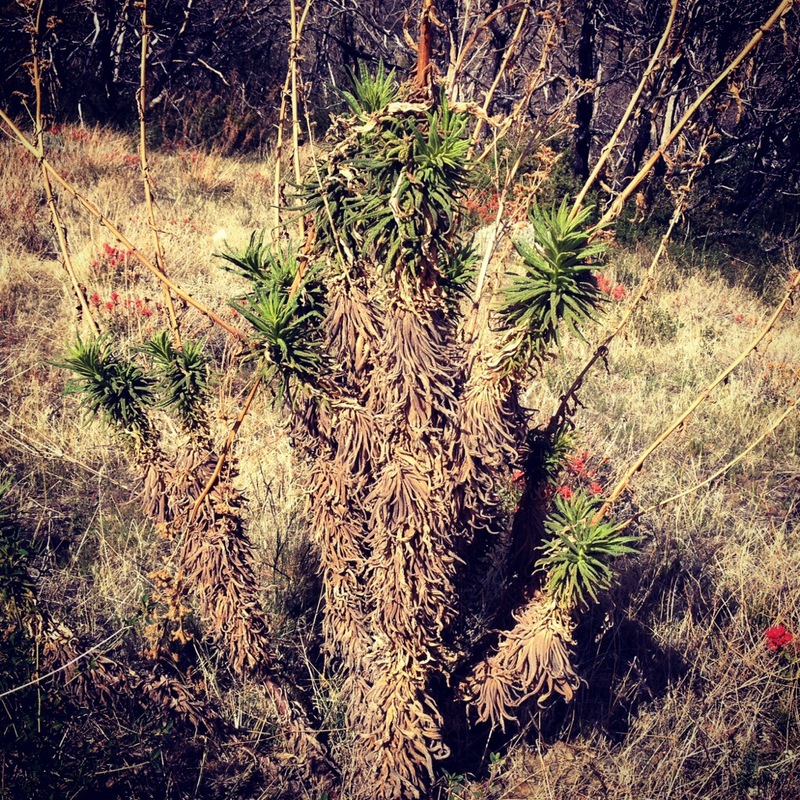 The PCTA has an article warning PCT hikers about the dreaded poodle dog bush. Most of the pictures of the poodle dog bush that I saw online focused on the flowers, which wasn’t very helpful for me since they weren’t in bloom yet. I still wasn’t 100% sure what it looked like so I just decided to avoid any suspicious looking plants (which would be pretty much all of them)! The first time I saw poodle dog bush I recognized it immediately. Last seasons growth had died out, but stayed attached to the stem and the dry- brittle- looking leaves draped down beneath the new growth making the stem look fluffy and furry with a bit of poofy green on top. The overall texture of the dead leaves on the stem looked like the texture of the fur on a poodle’s leg. By the time my parents caught up with me on the PCT I’d seen quite a bit of poodle dog bush and had gotten good at identifying it. 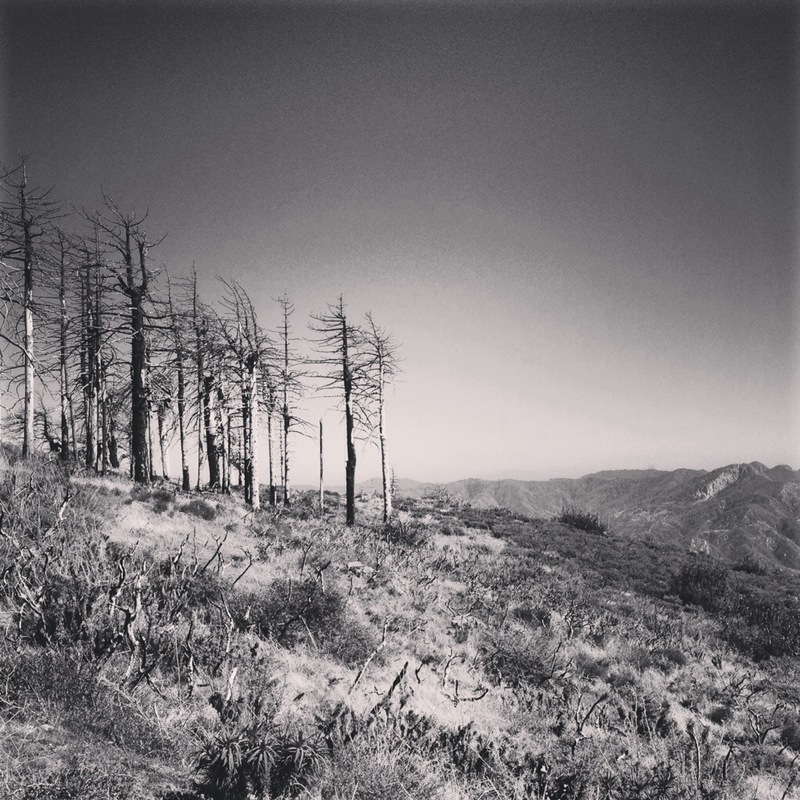 My experience identifying poodle dog bush was about to be put to good use as mom and I traversed the section of the PCT that is the most heavily laden with it, the Station Fire burn zone. Though poodle dog bush is native to Southern California, the seeds only really germinate in response to the intense heat of forest fires and people have only recently become aware of it. The plants propagate for 3-6 years before dying off and waiting for the next forest fire. As mom and I headed up the trail I pointed out the poodle dog bush to her, “poodle dog bush left,” or “poodle dog bush right.” Before long we were surrounded, “poodle dog bush both sides, and in the trail.” The poodle dog bush dance had begun… To the left, to the right, now turn to the side and dip… It was still avoidable, but lots of care was required. As we continued to dance up the trail mom remarked that it was more like a poodle dog bush two-step than a poodle dog bush shuffle. The poodle dog bush definitely kept us on our toes, and when we came to the optional detour around the worst of the poodle dog bush we took it! It was nice to finally relax and stop dancing! Walking the detour the immensity of the fire damage became undeniable. It was almost unfathomable. 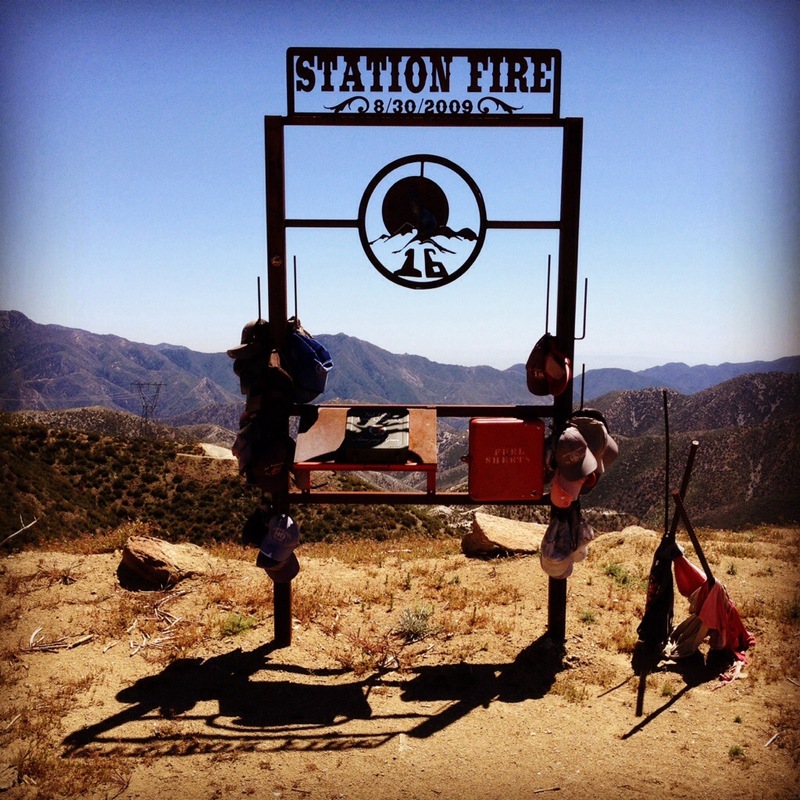 When we came upon the Station Fire Memorial (for two of the men that had died fighting that fire) I had to stop. After having walked through so many burn zones already I was thankful to have a space to reflect and show both my appreciation and my respect, not just to the two men that had lost their lives near there, but for all the men and women who stand and face the fire. As the sun finally set on the poodle dog bush behind our campsite later that night I wondered what new adventures would await my mom and I in the morning! 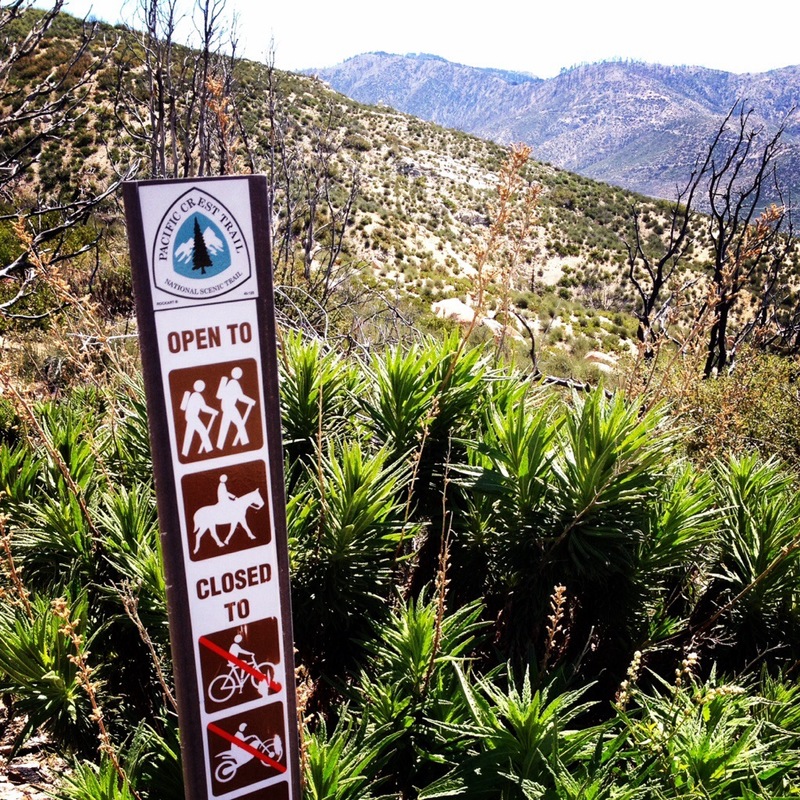 This entry was posted in Pacific Crest Trail and tagged california fire, pacific crest trail, PCT, pct detour, poodle dog bush, station fire. Bookmark the permalink. I hope that the long pause between posts does not mean that you or your mother had an encounter with the poodle dog bush! We both managed to successfully perform the poodle dog bush dance and didn’t suffer any ill effects :) Wi-Fi, power, and data for my cell phone are all a bit spottier out here and may lead to more pauses in the blog (hopefully not more than a week). During the blog pauses I try to get shorter things out via Facebook and Twitter (patchesthru on Facebook, Twitter and Instagram) while I conserve battery etc.